Transient ischaemic attacks – TIAs – are also known as mini-strokes or temporary strokes. They happen when there is a temporary block in the blood supply to a part of the brain. ‘Transient’ means temporary and ‘ischaemic’ means lacking blood supply (and therefore oxygen and nutrients). Symptoms of a TIA (which are the same as stroke symptoms) may only last a few minutes but can persist for up to 24 hours. People who have experienced a TIA have a higher risk of having a stroke. problems with vision, such as sudden blurred vision or temporary loss of sight. This symptom, called amaurosis fugax, usually only lasts 15 minutes or less, and is often described by those affected as if a curtain was being pulled down over the eye(s). Symptoms of TIA usually come on suddenly and may last a few minutes or a few hours, up to a maximum of 24 hours. Most TIAs last less than an hour. TIAs can be confused with a number of other medical problems such as migraine, epilepsy, or simple ‘dizzy’ turns. If you or someone else is experiencing any of the above symptoms, call 000 for an ambulance, even if the symptoms seem to improve. Symptoms of TIA are the same as those for stroke, and in the case of stroke, the sooner you get treatment the better the outcome. Also, there is a high risk of having a stroke soon after a TIA, so it’s important to start treatment to reduce your stroke risk as soon as possible after having a TIA. People who have had a TIA are at significant risk of stroke. In fact, about one in 3 people who have had a TIA will go on to have a stroke. If you recently had symptoms that suggest that you may have had a TIA, see a doctor immediately. TIA is a warning sign that you are at increased risk of having a stroke. Early diagnosis and treatment of TIA can help prevent a stroke. The causes and risk factors for TIA are similar to the causes and risk factors for stroke. The only difference between TIA and stroke is that there is no lasting damage from a TIA because TIAs are caused by a temporary interruption of the blood supply to a part of the brain. The blood supply may be interrupted because of the following. Severe narrowing or the formation of a blood clot in an artery that supplies blood to the brain. This is usually due to an underlying condition affecting the blood vessels – atherosclerosis – where there is a build-up of fatty deposits (plaques) in the arteries. A blood clot that has travelled from another part of the body (such as the heart) and temporarily lodged in an artery supplying the brain (a travelling clot is called an embolus). If you have had a TIA, you are at increased risk of having another TIA and a stroke. Your doctor will ask about your symptoms, including how long they lasted and if you have experienced similar symptoms before. They will also ask about any risk factors you may have. Your doctor will perform a physical examination, which will include a blood pressure check. A scan of the brain (either an MRI or a CT scan) is usually recommended. An ultrasound scan of your neck may also be recommended to measure blood flow to the brain through the carotid arteries in the neck. Blood tests and an electrocardiogram (ECG) to test for any problems with the heart (including abnormal heart rhythm) may also be performed. Treatment for people who have had a TIA is aimed at reducing the risk of having another TIA or a stroke. Lifestyle changes, medicines and sometimes surgery may be recommended. A dose of aspirin is usually given as soon as possible after TIA has been diagnosed. getting enough physical activity (at least 30 minutes on most days of the week). Ongoing treatment with medicines that make the blood less likely to clot, such as antiplatelet medicines and anticoagulant medicines, are used to reduce the risk of a future TIA or stroke. clopidogrel (e.g. Iscover, Piax, Plavix). a novel oral anticoagulant medicine, such as dabigatran (Pradaxa), rivaroxaban (Xarelto) or apixaban (Eliquis). Your doctor will discuss the risks and benefits of these medicines with you, taking into consideration your condition, your general health and personal risk factors. The risk of bleeding (an important side effect of anticoagulants) also needs to be considered. The choice of anticoagulant medicine will depend on these factors. Medicines to treat high blood pressure and to reduce cholesterol may also be recommended. If you have diabetes, you can help reduce the risk of TIA and stroke by working with your doctor to treat your diabetes and keep blood glucose levels under control. An operation called a carotid endarterectomy may be recommended if there is a narrowing or blockage in a carotid artery. (The carotid arteries, which are found on either side of your neck, supply blood to the brain.) In this type of surgery, the build-up of plaque in the artery is removed to prevent a future stroke or TIA. Ask your doctor about determining your risk of TIA and stroke. Doctors usually assess your risk for both stroke and coronary heart disease (which causes angina and heart attacks) together. This is because the underlying problem with both conditions is the build-up of fatty plaques in blood vessels. To help reduce your risk of TIA and stroke, your doctor may recommend the following. Lifestyle measures (including quitting smoking, eating a healthy diet, maintaining a healthy weight, limiting your alcohol intake and getting enough physical activity). Medicines (e.g. medicines to treat high blood pressure or to lower cholesterol). 1. Stroke Foundation. 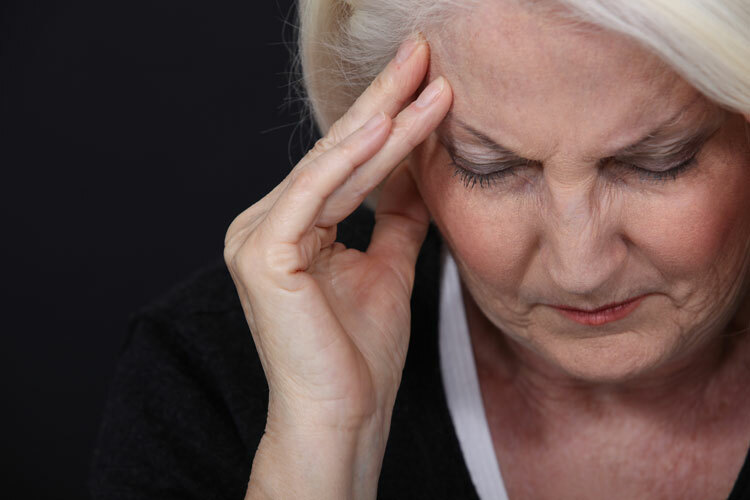 What is a transient ischaemic attack (TIA)? (updated Apr 2013). https://strokefoundation.com.au/~/media/strokewebsite/resources/factsheets/whatistia_web1.ashx?la=en (accessed Apr 2016). 2. Mayo Clinic. Transient ischaemic attack (TIA) (updated 10 Jun 2014). http://www.mayoclinic.org/diseases-conditions/transient-ischemic-attack/basics/definition/con-20021291 (accessed Apr 2016). 3. National Institute of Neurological Disorders and Stroke. Transient ischemic attack information page (updated 29 Mar 2016). http://www.ninds.nih.gov/disorders/tia/tia.htm (accessed Apr 2016).